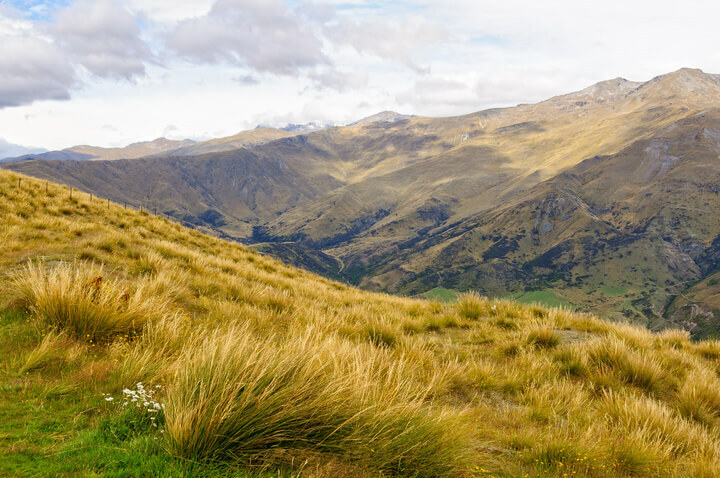 Hiking or walking is one of the best ways to really get out and enjoy the picturesque countryside in the Queenstown and Southern Lakes area. There are plenty of walks to choose from with everything from multiday hikes through to short walks and easy day trips. Unless you are an avid hiker, you probably didn’t come to Queenstown just to take a walk, so short walks are a good way to spend some time in the great outdoors without taking up too much of your precious time. Take a look below for our top 6 short walks in Queenstown. 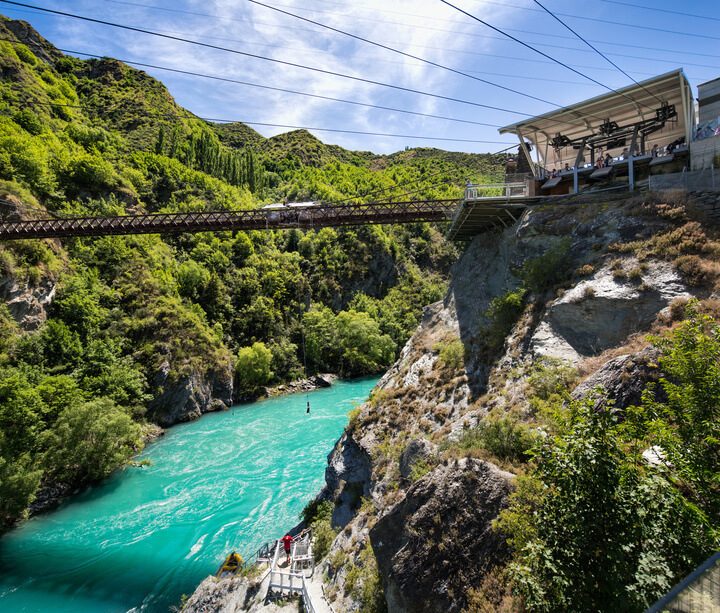 Keeping it close to home, the Frankton Arm Walkway makes its way all the way from the Queenstown lakefront around the water’s edge, across the Kawarau Bridge and finishing up after a circuit of the Queenstown Golf Club on the Frankton Peninsula. Walking the entire way will take around 3 and a half hours at a total of just under 18 km. The beauty of this track is it is down below the road and lined with beautiful big trees for most of the way so it is perfect for a hot summers day – or even not so summery day. You also have the option to just walk as far as you please, getting off or returning to the lakefront via the same track whenever you decide. Beginning from the edge of Belfast Terrace (drive on over or make your way on foot from the Queenstown City Centre – this will add another 20 minutes on to the walk) the Queenstown Hill Walking Track has two options along the way, just making your way around the loop track or heading up to the Queenstown Hill Summit. Make sure you pack a picnic lunch and a bottle of water before you head up Queenstown Hill, and look out for the “Basket of Dreams” artwork created by NZ artist Caroline Robinson. The summit track will take around 2-3 hours return (4.6 km), the track is fairly steep so it may take longer. Just tackling the loop track will take around 2 hours return (4.1 km) adding the two together will push it out to over 3 hours (approximately 5 km). Considered one of the most picturesque walks in Queenstown, the Lake Hayes track is just off State Highway 6 on the way to Arrowtown – roughly a 15 minute drive from Queenstown. Lake Hayes itself is a gorgeous mirror-like lake with a stunning backdrop of some of Queenstown’s famous mountain ranges. At a distance of 8 km (2 hrs walk), the well-formed loop track follows the shores of Lake Hayes, there are toilets at the main lake front site, which is also a popular picnic spot. In summer the Lake is warm enough for swimming, boating and other water sports. Along the track there are seats to rest on and a few information boards telling you about the history of the lake. The perfect short walk for visitors to the historical settlement of Arrowtown, Tobin’s Track takes only 30 minutes each way over a total distance of 4 km return. This relatively easy walk takes you up along the edge of the Crown Range Terrace just above Arrowtown. The views at the top lookout are spectacular looking back across the Arrowtown area, with the Remarkables mountain range featuring off in the distance. In the summer time it’s a lovely spot just before sunset, to see the last rays of sunshine over the Wakatipu Basin area. At three hours the Sawpit Gully Trail is great for visitors who are looking for to get the best views. Starting out on the Arrow River Trail walking until it turns off to Sawpit Gully, you will see a sign with a yellow arrow. A steady climb upwards will lead you to the rim of the gully, be aware you will have to cross a series of streams along the way, only to be rewarded with spectacular views of Lake Hayes and the Remarkables. The entire loop track will take around 2 to 3 hours depending on your pace. The Tiki Trail is perfect for those who want to ‘enjoy the journey’ to the Queenstown Gondola in the Ben Lomond Scenic Reserve instead of just taking the gondola up. The trail winds its way up through bush clad hills at a steady (quite steep) climb. Find the entrance to the trail off Lomond Crescent or you can take Hammy’s Track from the Gondola Base Building on Brecon Street until it you see the Tiki Trail turn off. The trail is around 3 km and will take you around an hour and a half one way (or you could add to the experience by taking the Gondola down). Thinking of visiting Queenstown and want to know what to see and do? A guided tour is a great place to start, talk to the friendly team at Queenstown Expeditions for more information on adventure tours in Queenstown.